Okay, now I NEED a red blazer! So gorgeous! I love that red! It's gorgeous! 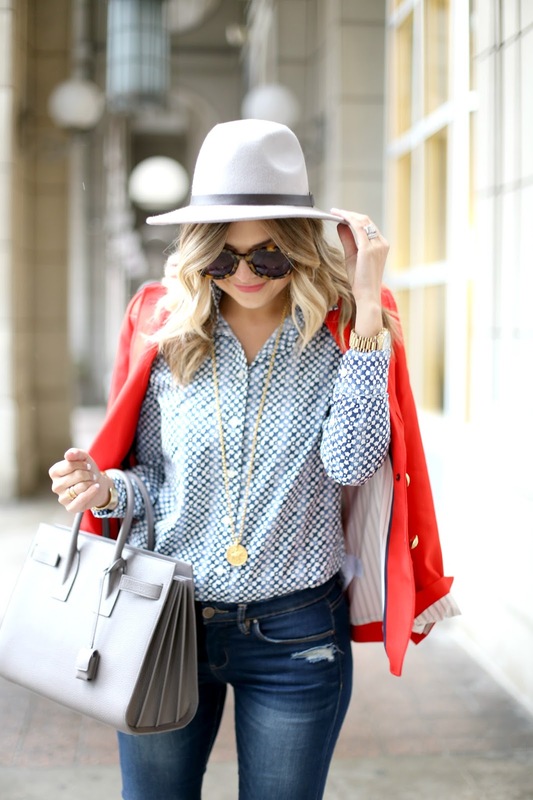 Loving the pop of red. Great for spring! There's not one thing I dislike about this look!! Perfect! 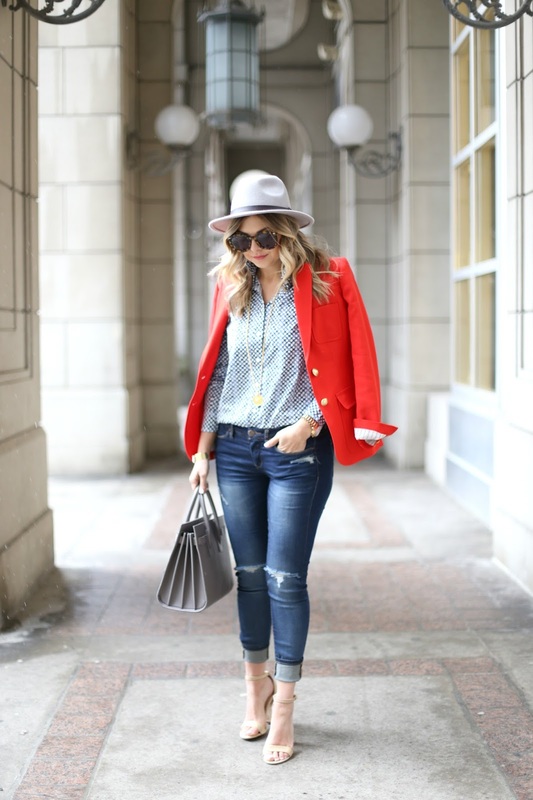 This bright blazer is genius - you look incredible in it. Perfect for spring!